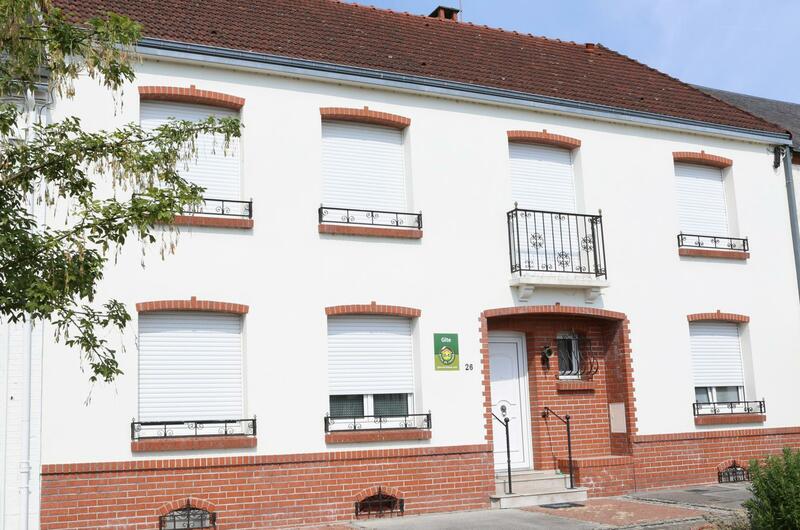 Gîte (183 sq.m.) with separate entrance on main square of Gamaches. Ground floor: fitted kitchen (fridge/freezer, Senseo coffee pod machine), large living room (47 sq.m. ), bedroom (double bed), bathroom (power shower & bath), separate WC. 1st floor: 3 bedrooms (double bed) (2 single beds) (3 single beds), shower room, separate WC. Large garage with games room (table tennis, table football). Gas heating (extra charge). Beds made on arrival. Garden (66 sq.m.) and terrace. 8km from exit 5 off A28 motorway (Rouen-Abbeville). 1.5km from Longroy Gamaches railway station (Paris-Le Tréport line). Parking on village square or in garage. Tourist tax charged extra.